18 Super Shapes Books for Young Readers That Will Make Math Fun! Every single time I bring up math I am 100% sure that I hear an audible groan from my kids. And I get it, math is a tough subject. Using picture books is a fantastic way to overcome some of those obstacles associated with learning math concepts. Because y’all math is so much more than memorization. Using picture books to in your math lessons provides kids with an awesome visual that is fun. And when kids laugh, when they have fun, they are learning. 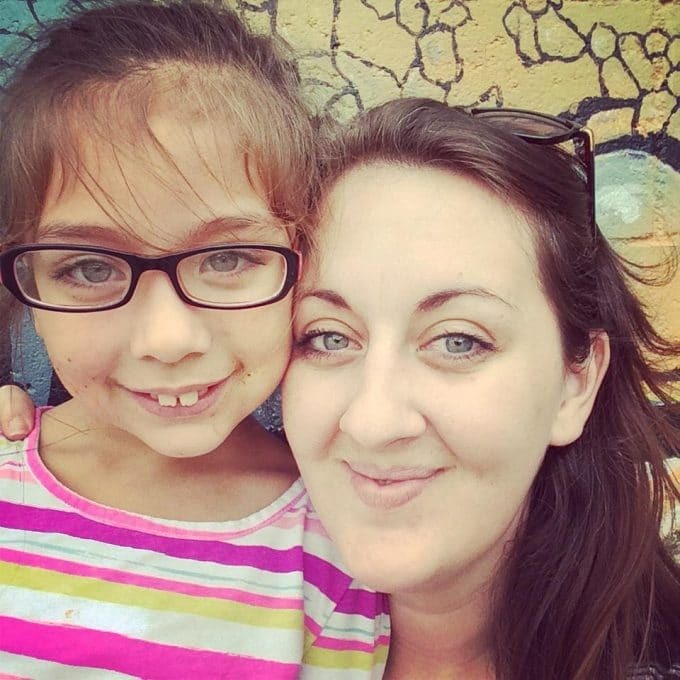 Below you will find some of my favorite Shape Books for Kids! Hopefully this list will help you with your math planning and put some awesome shape books for your bookshelf! 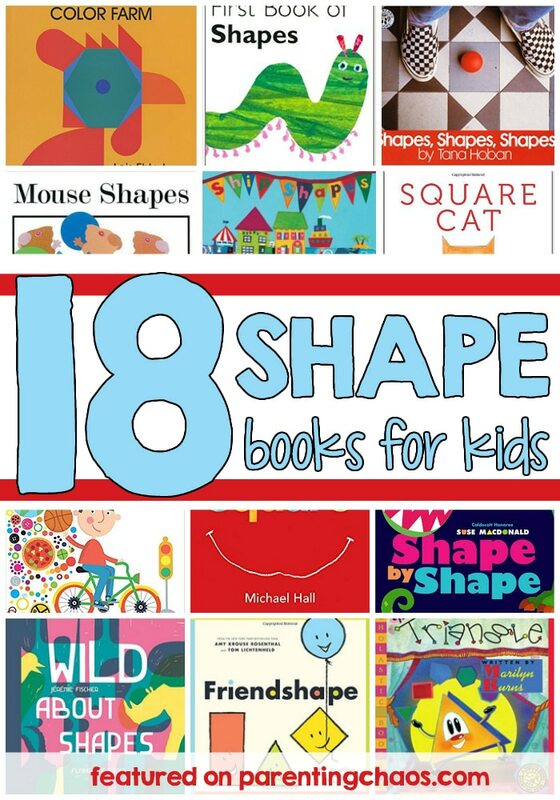 Click through the gallery to see all the shape books included in our list! What can you make with one oval, two circles, and eight triangles? Just ask three clever mice—who even find a funny way to trick a sneaky cat. “The shape of you, the shape of me, the shape of everything I see..” In this board book featuring bright new colors and the original whimsical text, Dr. Seuss introduces the concept of shapes to babies and toddlers. A greedy triangle adds to himself to become new shapes in this bold and colorful introduction to shapes and basic math concepts. As readers turn the brightly colored, die cut pages, shapes on each page come together to reveal a creature from long ago. This book is playfully designed so that animals hide and reveal themselves within pages of overlapping bold blocks of color. From crocodiles and giraffes to snails and mice, each page offers a fresh surprise! Young readers can explore friendship through four best friend shapes in this charming book. Wherever you are, there are shapes for children to discover in the world around them! Eula is the only square cat in town. Everything that normal cats do is hard for her — she can’t get her square paw into mouseholes, she can’t wear her favorite circle skirt, and all of her friends are round! Eula is sad until her two best friends show her just how well a square cat can fit into this round world. The vibrant colors and large text in this enchanting collection of bilingual board books make learning easy and fun. 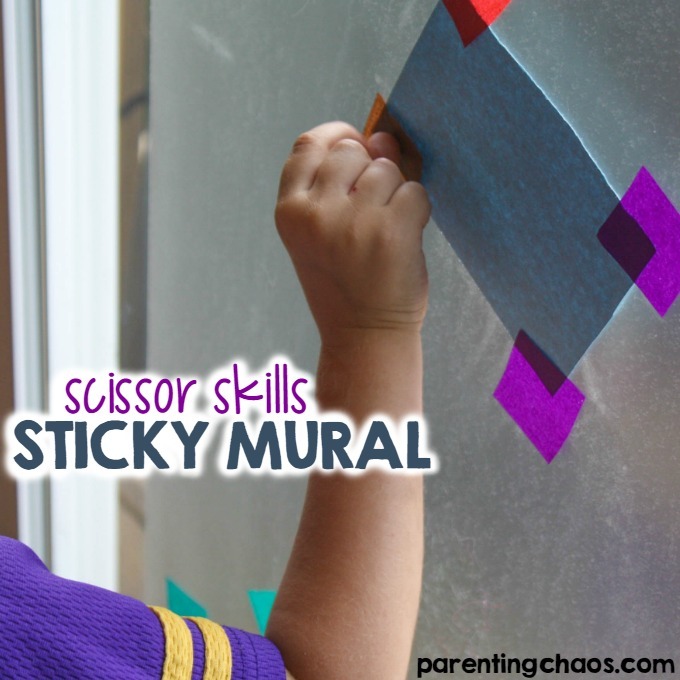 Boldly colored construction paper cutouts on stark white backgrounds introduce the basic concepts of colors, numbers, shapes, and opposites in a way that will engage little ones again and again. With its gently reassuring text and vivid illustrations, The Shape of My Heart invites readers to look beyond the obvious, and explore the world in a whole new way. Young readers can learn shape recognition with a backdrop of circus performance. See how many everyday shapes you can spot while sailing the open sea in search of jewels and treasure! This classic is filled with simple bright and bold illustrations that encourage kids to see the shapes around them! A box is just a box . . . unless it’s not a box. From mountain to rocket ship, a small rabbit shows that a box will go as far as the imagination allows. A perfect square is transformed in this adventure story that will transport you far beyond the four equal sides of this square book. In a book bursting with color and cheer, students can learn the fundamental properties of circles. 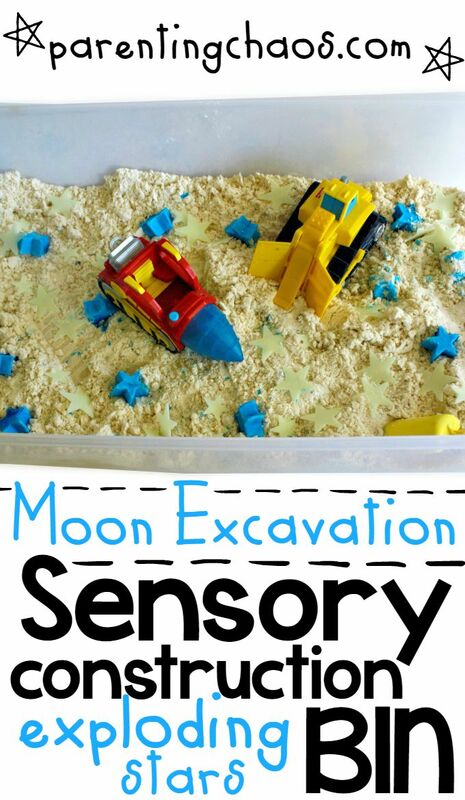 Terms such as sector, chord and arc are clearly defined through hands on activities. This hilarious book manages to illustrate a fact or two about shapes while providing a three-dimensional stomping ground for best friends Moose and Zebra…and cat too. p.s. 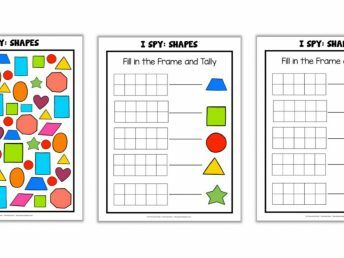 Pin this post so you can easily find it the next time you need to find a new shapes book for your math shelf! 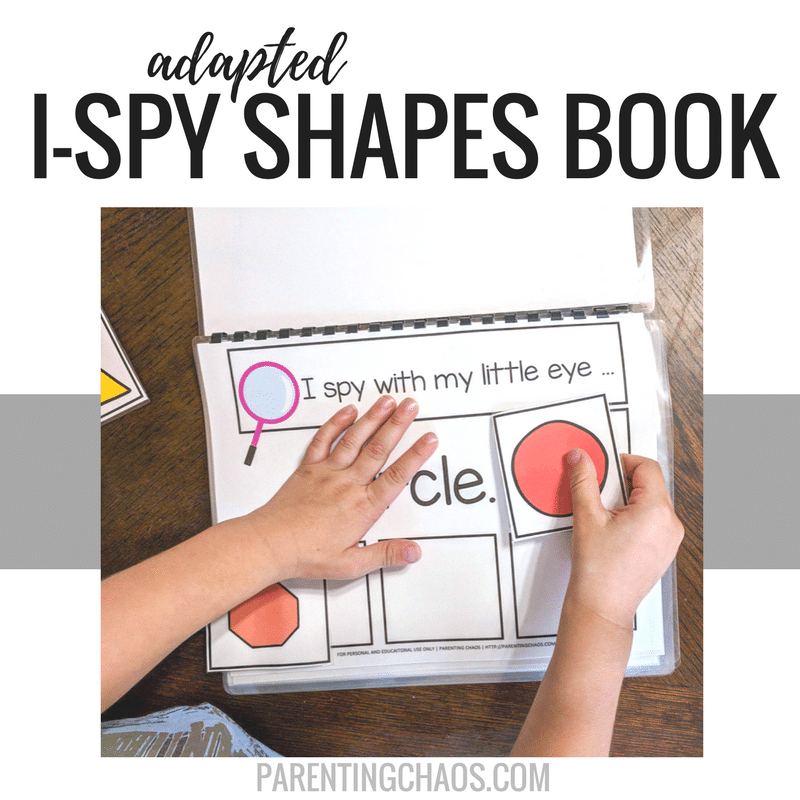 Adapted I Spy Shapes Book — Free Printable!